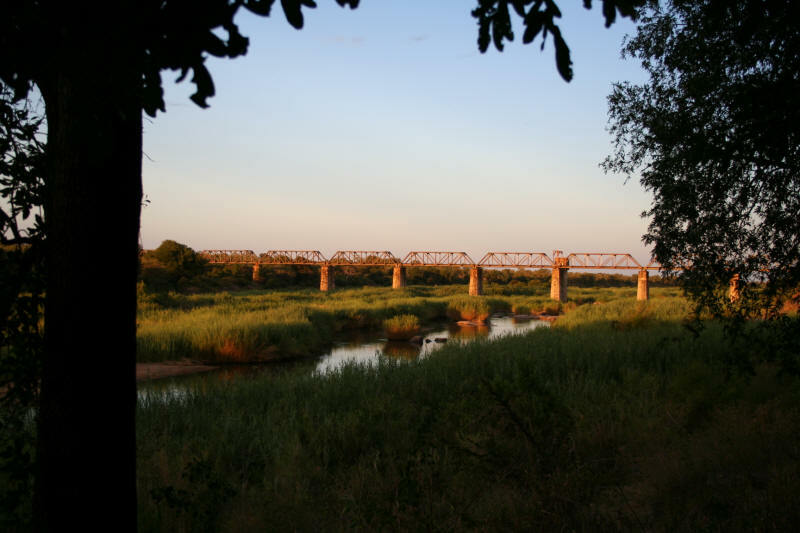 The Kruger National Park has only 5 perennial rivers flowing through it and all of these have their origins outside the Park. This has a significant impact upon both water flow and water quality. The challenge to maintain a healthy ecosystem consistent with supplying industrial and public needs for water will remain for a very long time to come. Many streams rise inside the Kruger National Park that are tributaries of the various rivers. However of note are 6 major river systems that rise totally within the Park itself. These are the Tsendze, Mlondozi, N’mwaswitshaka, Biyamiti, Nwanetsi and Sweni. With the exception of the Nwanetsi all these rivers flow into one of the perennial rivers. The map shows all the main rivers … perennial rivers are in LIGHT BLUE and the seasonal rivers are shown in DARK BLUE. All the rivers flow from west to east eventually draining into the Indian Ocean after flowing through Mozambique. The yellow dots are the Kruger Rest Camp and Camping locations. In reading the list below work the map from north to south and refer only to those rivers that rise outside the Park boundary. The second table will refer to the rivers that rise within the Game Reserve. Use the search box on the site to discover information on the drives along these rivers. 11. N’waswitsonto flows across the whole width of the Park. You might find it interesting to see how Google Earth has made it possible to fly over the Kruger Park while sitting at your computer. 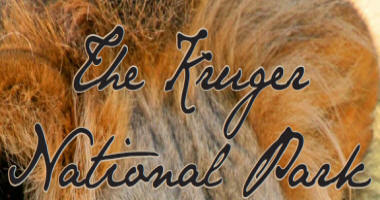 You will see 2 interesting links you can use here to get started Kruger Google Earth map links.